Did I overdo it with the peonies? I think I might have but they are just so beautiful that I can’t resist photographing them. There’s lots of other goodness thrown in there two: a trip, an 8th grade graduation, pretty flowers, pirates, family and more. Just another month in the life of all of us here at Carole Knits. One can never overdo it with the peonies! Lovely photo collage, Carole. It is impossible to overdo peonies. The peonies really are pretty. I love the Jimmy Buffet pictures. That must have been a blast! Your June is beautiful. Flowers, family (including Mason), friends, and fun. You do it right, Carole! It looks like fuscia could be your favorite color. I’m awfully partial to the basil–my mouth is watering! June is for flowers, fun and festivities! You do it all well. Looks like it was a great month for RED! Beautiful! 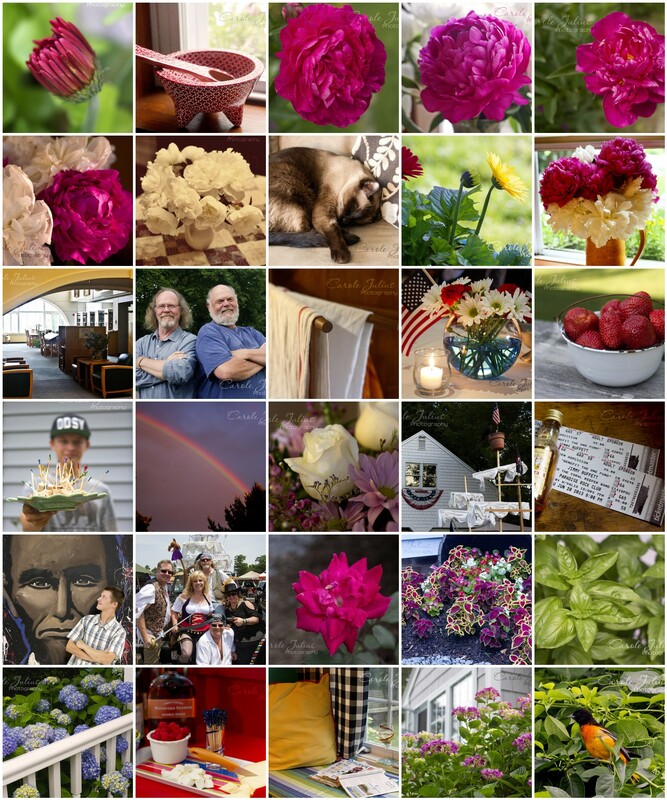 And the peonies only last so long – gotta get ’em while you can!